Really wishing I had more time to explore, I left Dinan and the hostel after sleeping in, so I got a late start. 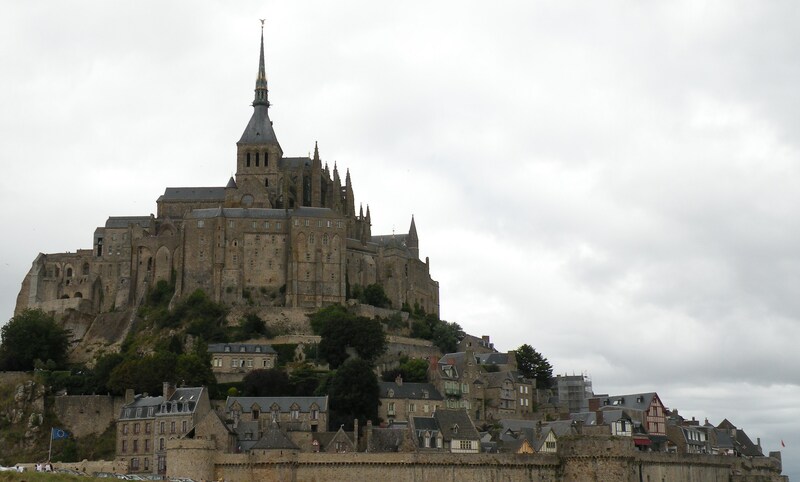 I headed for Mont Saint Michel, which was a little over an hour away. OK, so there’s this big abbey built on a big rock out in the middle of the harbor. And around the abbey is a town. When the tide is in, it’s surrounded by water. The whole thing is secured by a wall. It’s pretty amazing to see and I was hoping to get there early to catch the morning light for pictures but missed that. It was too cloudy anyway. The tide was ebbing so it wasn’t out yet. In modern times, a causeway was built to the rock, so you can actually drive out to it. And a lot of people did. Thousands. I took my pictures and left the thousands to their endeavors. 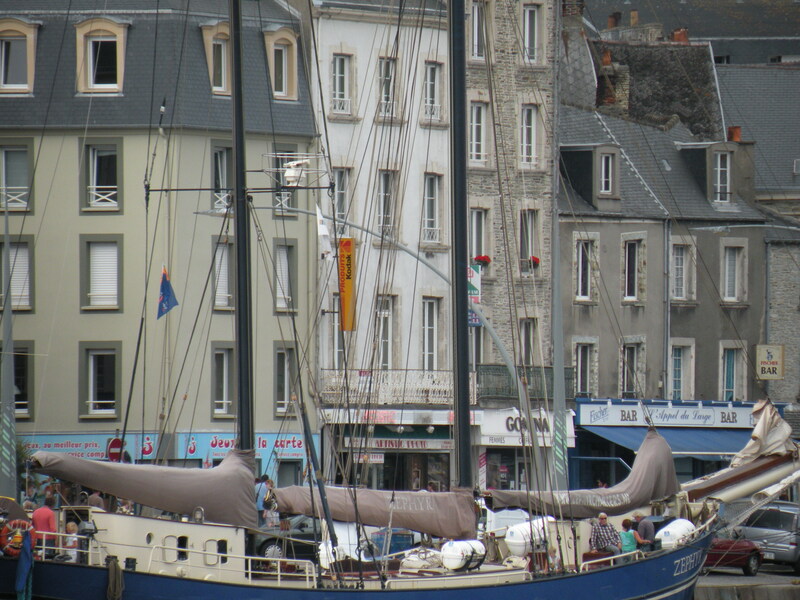 I explored the town and the roads nearby for an hour or so and then headed off for Cherbourg. 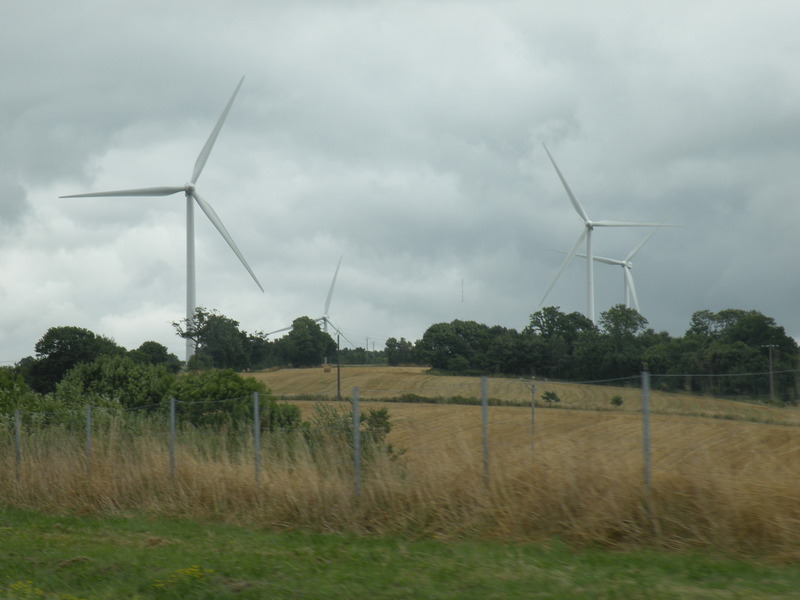 Another great day of country roads and old villages on the drive. I passed a Super Marche and wondered if that was a grocery store, so I stopped and it was. I thought it would be good to pick up some more stuff for picnics, I need to get some veggies and fruit in me, and I don’t want to get scurvy you know. Well, this was an adventure. It was one those times when you just have to watch what other people are doing. I survived, and went on my way. 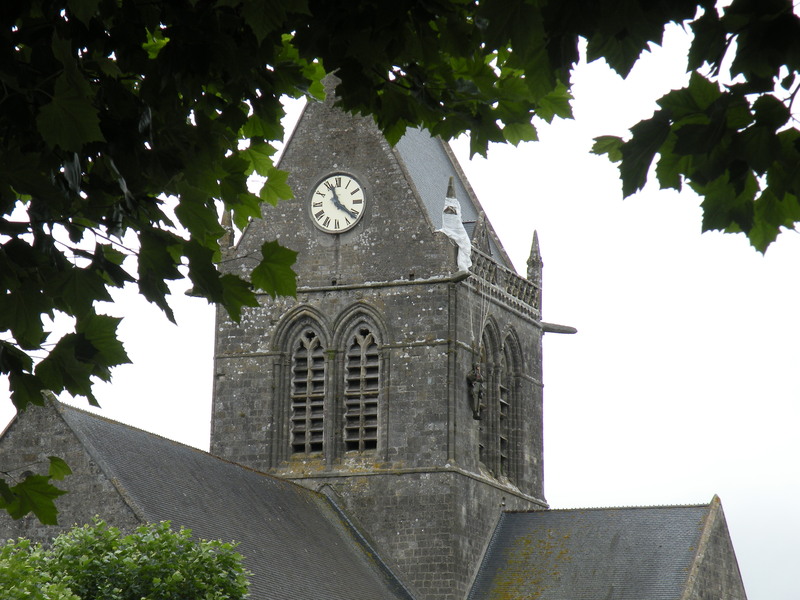 I passed through Sainte-Mère-Eglise, which was the first French town liberated on June 6, 1944. 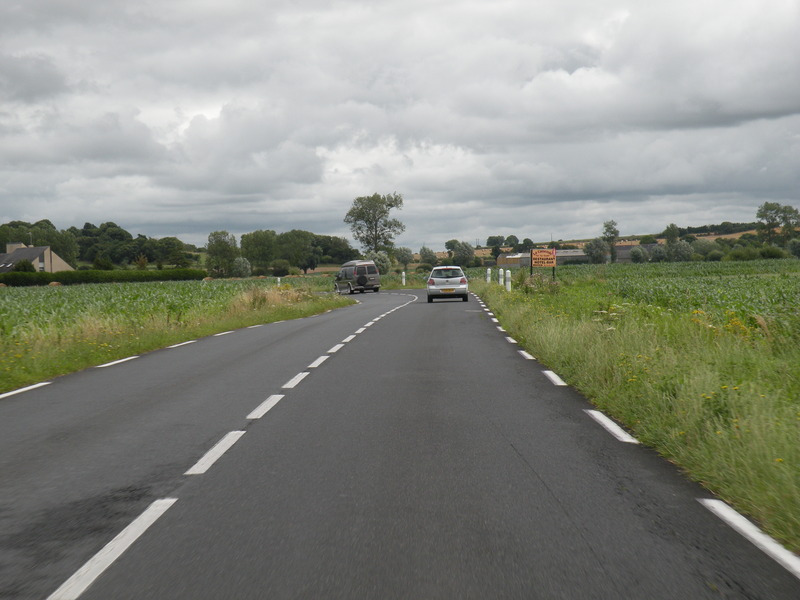 Many US Airborne troops dropped into this town during the Normandy invasion and unfortunately, many Germans were waiting for them and many parachutists were not even alive when they hit the ground. Many got hung up in the church steeples and town bell towers and were shot as they hung there. Pretty little town, but what a horrible thing to have hanging over you, no pun intended. 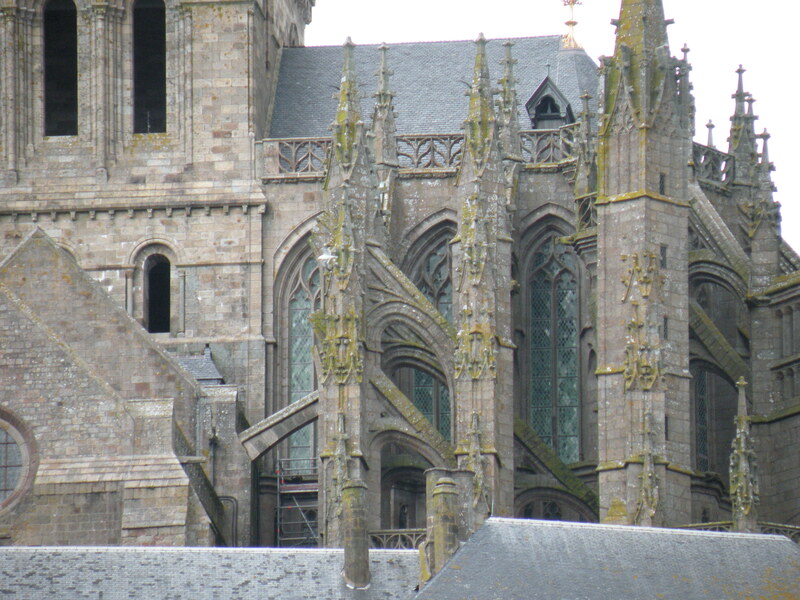 There was a parachute hanging from the steeple of the cathedral, not sure if it’s there all time or for some special occasion. Here’s the thing. 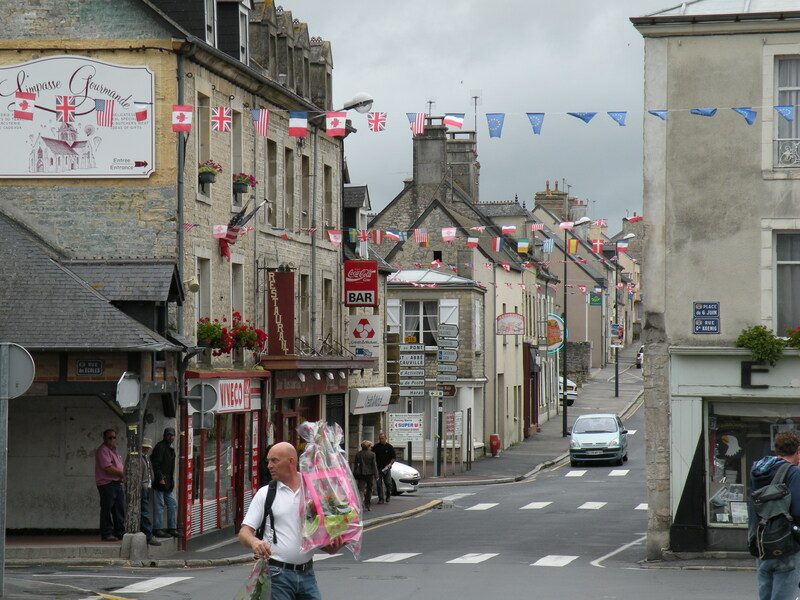 I only picked Cherbourg as a place to stay because of it’s proximity to the Normandy beaches and war memorials which I was planning on visiting the next day. 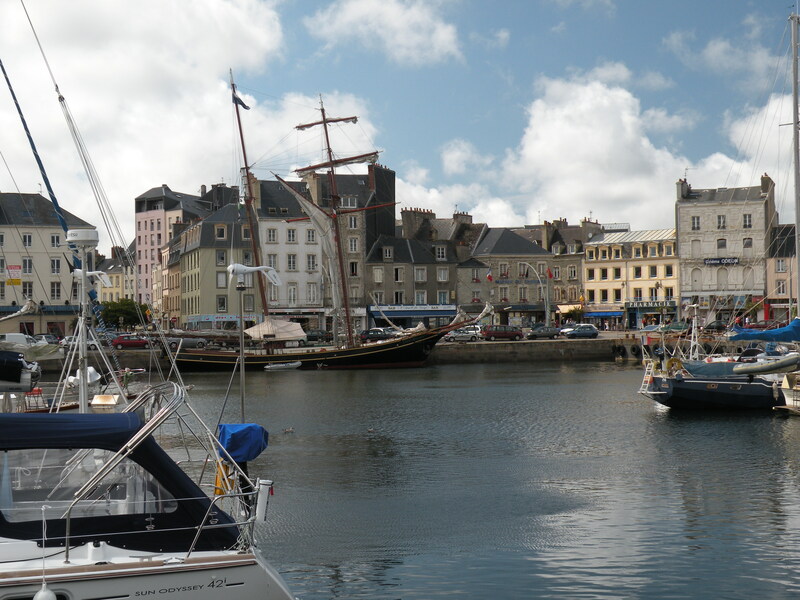 I hadn’t researched Cherbourg at all. When I pulled into town, it was Tony Soprano all over again. This is a major seaport town. Of course, it’s on the water and there are lots of boats on the water and there are lots of clanging halyards and seagulls, and the beautiful old buildings along the water. It’s such an inviting scene so I took some time this evening to explore a bit. This is definitely a port I’d like to visit in my boat and stay for a few days. After getting checked into my room at the Cherbourg/Octeville Hostel which is quote a nice facility, I sat down to write last night’s entry and tonight’s and I’m pretty beat so I’ll go to bed soon. 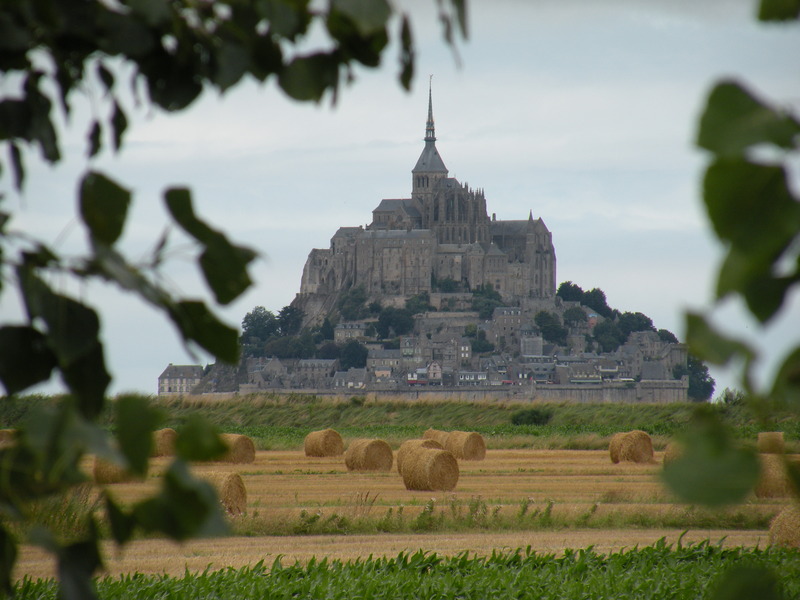 Tomorrow I’m off to Normandy.